The following chart is a transitioin of numbers of machines in Japan since 1988. 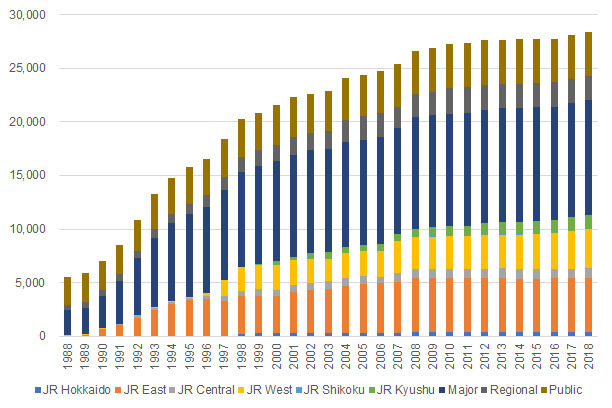 There were years in which the number of installations grew steadily because of automating in the Tokyo metropolitan area and JR comapnies, but nowadays the number of increase has been slowing down. Breakdown of the installation number in 2016 is as follows.